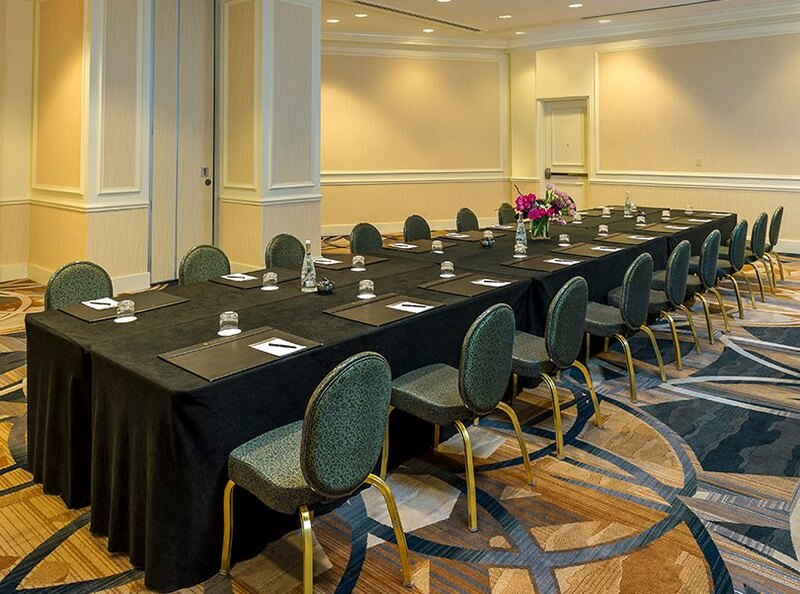 With a central location in downtown, our Miami meeting space is the ideal location to host your guests. Our seasoned staff will craft an unforgettable experience for your guests. With experience in organizing diverse events, they have the knowledge necessary to ensure your gathering is supremely successful. Complement your event with our catering, which includes filling meals and quick coffee break snacks. For branding services, our cutting-edge display ads are available to engage guests and spread the word about your event. 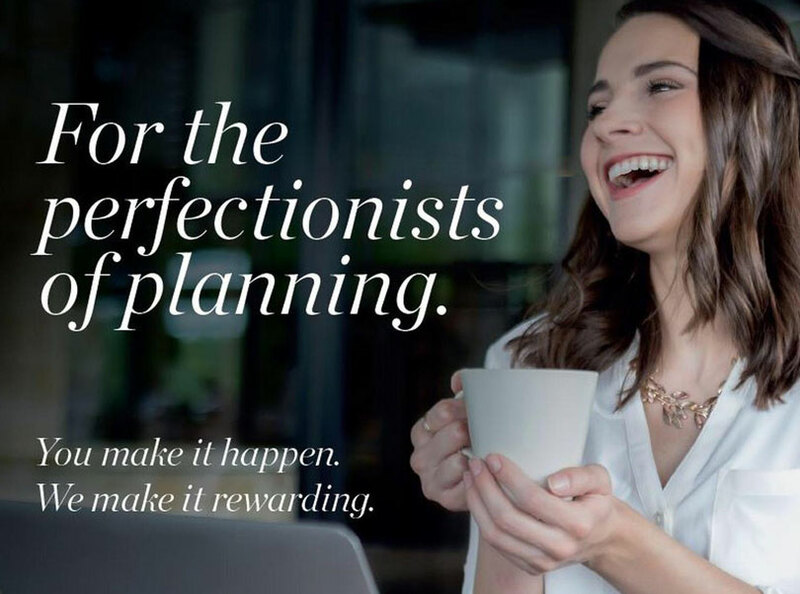 Got big plans? 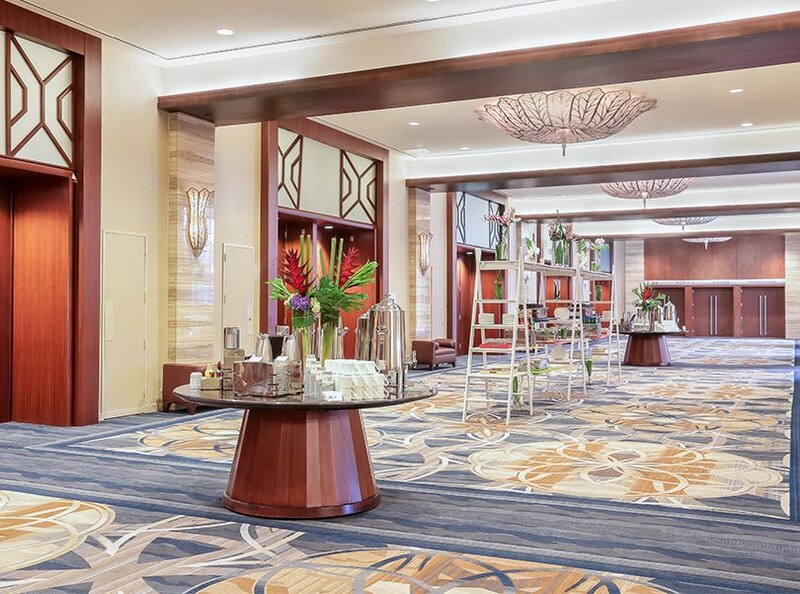 Decked in wood and glass paneling and illuminated by recessed chandeliers, this 13,000-square-foot event hall can comfortably host up to 2,000 guests. 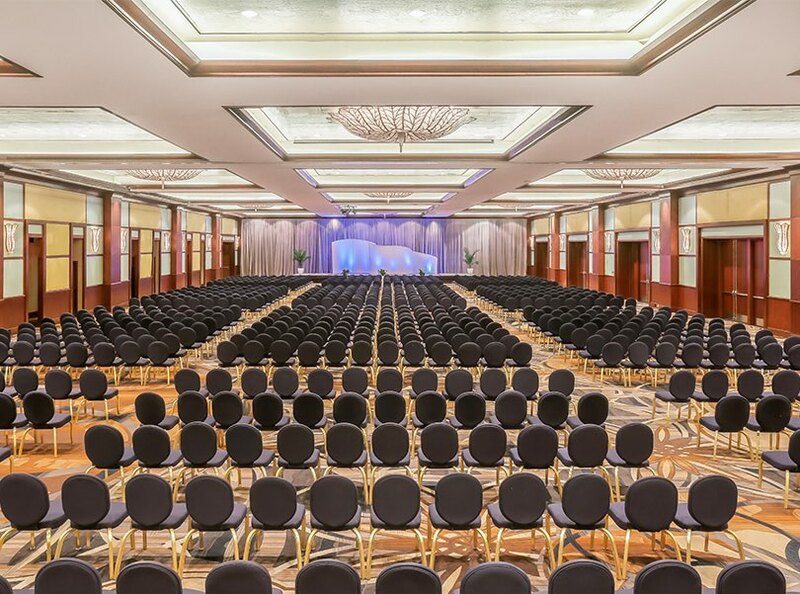 Painted beige and accented with wood stripings, our fifth-largest meeting space is as versatile as it is big: Configure it for theater, classroom, banquet-style, and other seating variations. 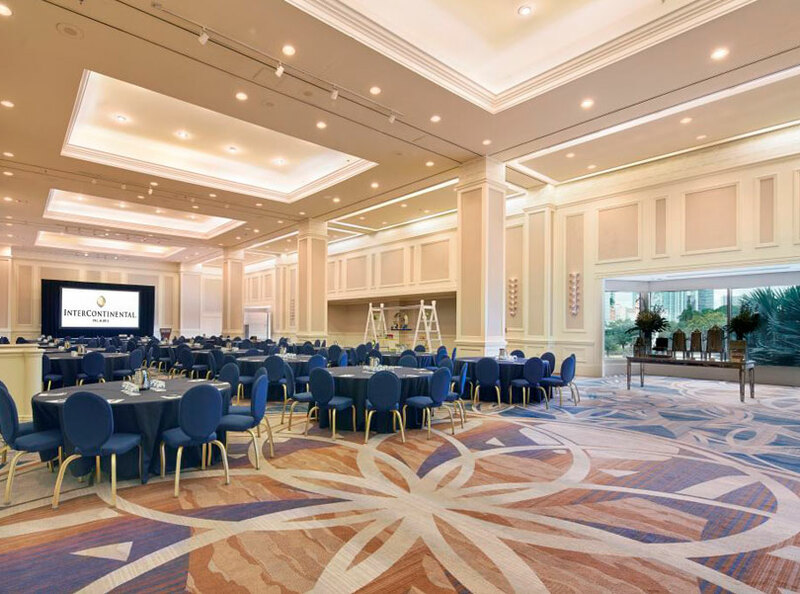 Stage a conference or throw a ball; with vaulted ceilings and bay windows revealing Bayfront Park, this beautifully-designed room will help create lasting memories all the same. Floor-to-ceiling windows. Views of Biscayne Bay and the Port of Miami. 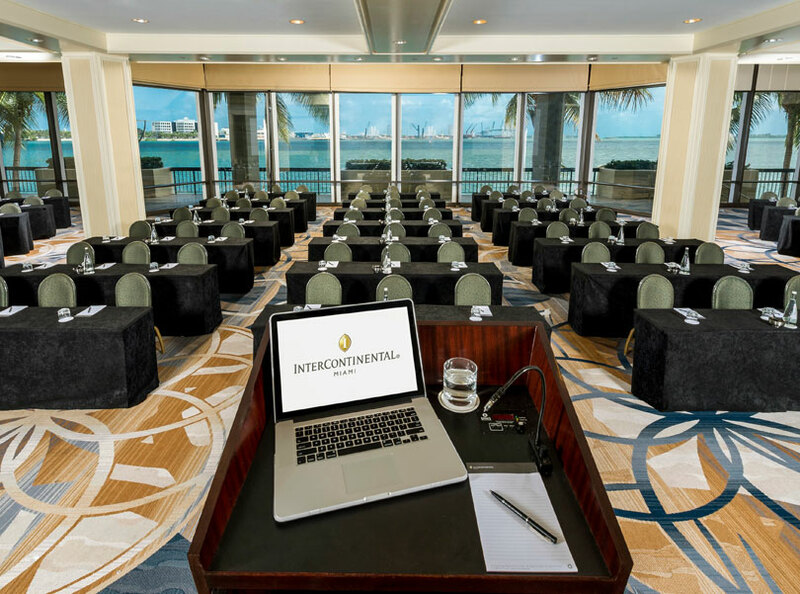 Enjoy Miami’s ultimate meeting space, whether you book the whole thing or a partitioned version. 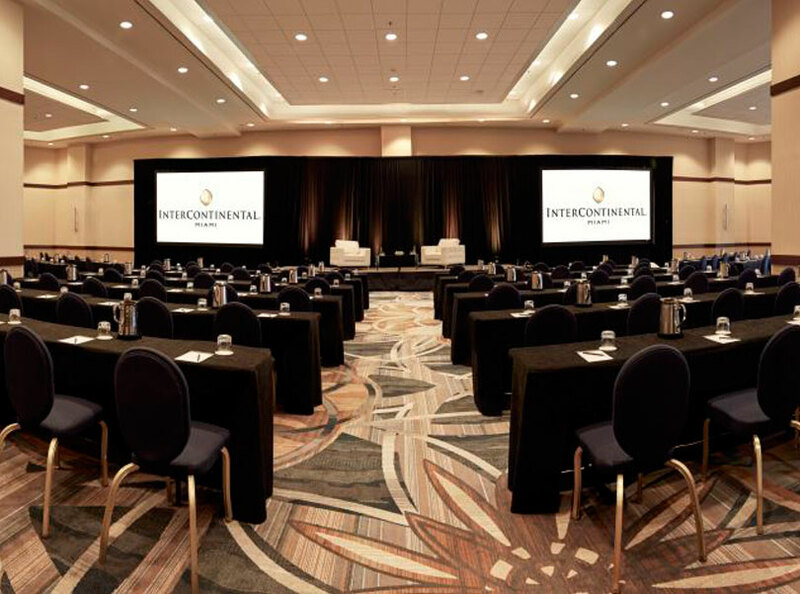 Bond, brainstorm, or breakout: Our 29 smaller rooms offer the InterContinental experience in an intimate setting. View our capacity chart for more detailed information. Have you heard about our New IHG® Business Rewards DOUBLE points Booker Bonus promotion? As an IHG® Business Rewards member, you’re always rewarded. Now, for every qualified meeting, event, wedding or stay you book between January 21 and April 30, 2019, we’ll give you DOUBLE IHG® Rewards Club points. Just make sure your booking is held from January 21 to August 31, 2019. We normally reward you with 3 IHG Rewards Club® points per US $1 – and we’re one of the only hotel groups that give you that much. But, with Booker Bonus, you’ll earn even more – 6 IHG Rewards Club® points per US $1. Spend $750 and you’ll have more than enough points to redeem for the latest music or your favorite magazine downloads. 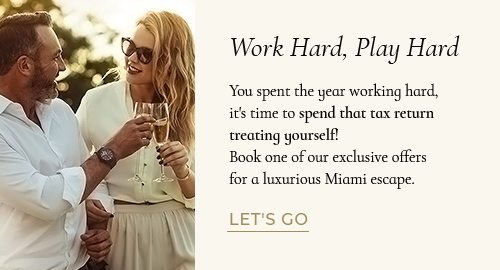 Or, if you prefer to stay with us yourself, spend $5,000 and you could get a Reward Night. 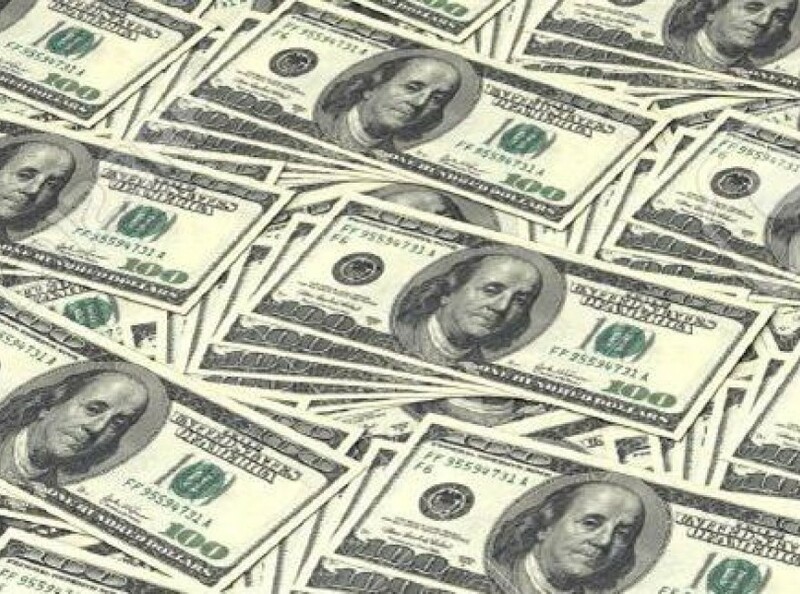 $1 USD of the qualifying spend up to the value of $20,000 USD booked between January 21st and April 30th, 2019 and consumed between January 21st and August 31st, 2019. Further terms and exclusions apply. Meeting Planners may choose from a variety of perks based on the number of rooms that are booked and realized. Meeting Planners may choose one (1) perk if 20-50 room nights are booked and realized, two (2) perks if 51-100 room nights are booked and realized,three (3) perks if 101 - 150 room nights are booked and realized and four (4) perks if 151+ room nights are booked and realized. Book a Meeting and receive a Master Account Credit for up to $2,000 when securing an onsite Team Building Function. Guestroom rates are from $259.00. May thru September rates are from $139. Not valid for existing Groups and can not be combined with any other promotions. Valid for any New Business of 25 to 75 rooms on peak night in which a signed contract is received by April 30, 2019. 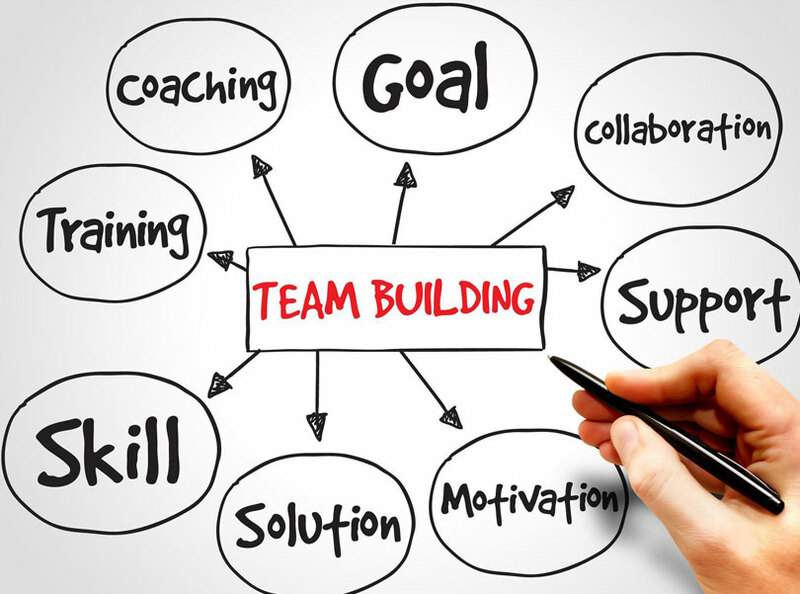 Available Team Building Functions include: Scavenger Hunts, Escape Room, Latin Theme Happy Hour and Pursuit for Mankind. Credit is based on $25 per guestroom actualized on peak night. Receive a complimentary One (1) Hour Reception for up to the same number of guest rooms being contracted* on that night of the reception. 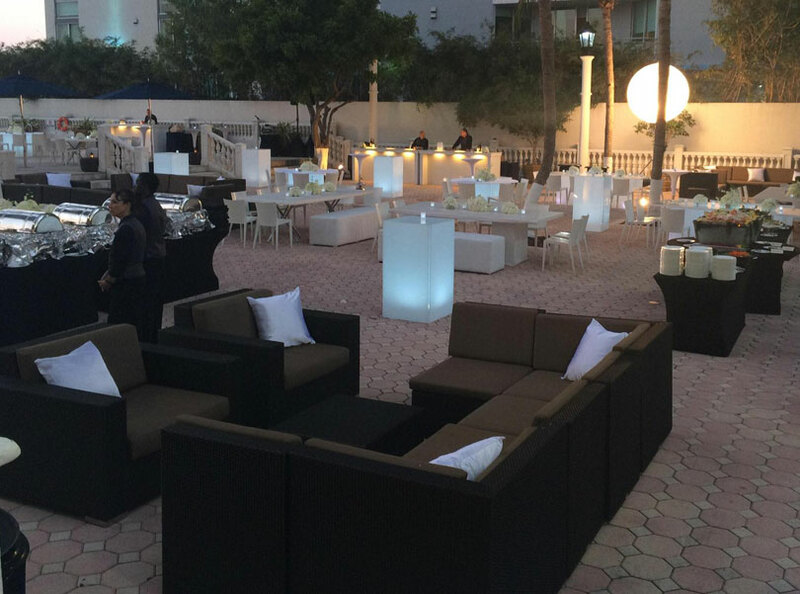 Beverages include Beer and Wine, Food includes a choice of up to 5 hors d'oeuvres per person. Cannot be combined with any other offers. This is not applicable for existing groups. *Minimum 100 rooms on peak night. One (1) Reception per program. Book a Meeting and receive a Complimentary AM and PM Break. March Guestroom rates are from $259.00. May thru September rates are from $139. Not valid for existing groups and cannot be combined with any other promotions. Valid for any new business in which a signed contract is received by April 30, 2019. Complimentary AM and PM Break is predicated on Group placing Group Breakfast, Lunch and Dinner functions at the Hotel. If The Group is placing a Breakfast and Lunch Banquet function only, then a Complimentary AM Break will be extended. Number of people served will be equal to that of the number of guestrooms reserved on that day in which function will take place. 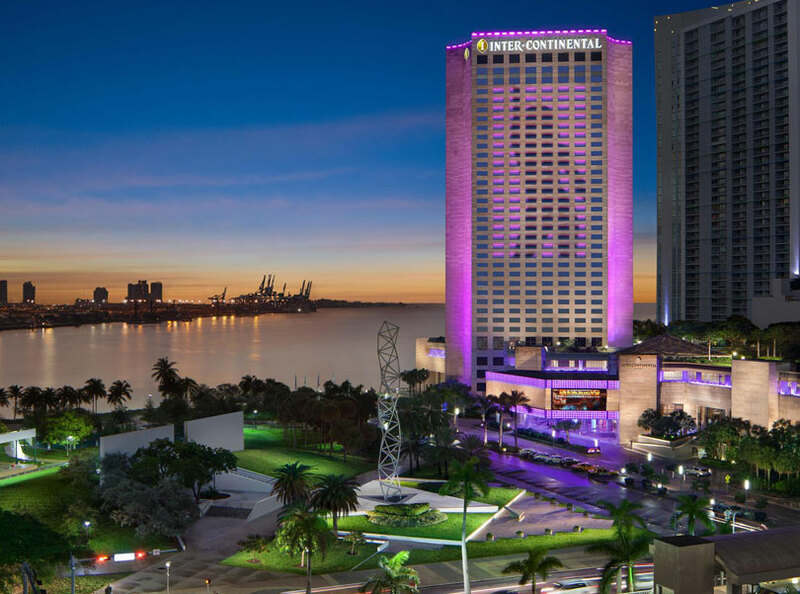 This promotion is based on One (1) complimentary AM or One (1) complimentary AM/PM break per day with a retail value of up to $20 per person per Break. Valid for groups of 25 rooms or more on peak night. Book a Meeting and receive a Credit to the Master Account worth 5% of the actualized rooms and food & beverage revenue. March Rates are from $259. May thru September Rates are from $139. Not valid for existing groups and cannot be combined with any other promotions. Valid for any new business of 50 rooms or more on peak night in which a signed contract is received by April 30, 2019.